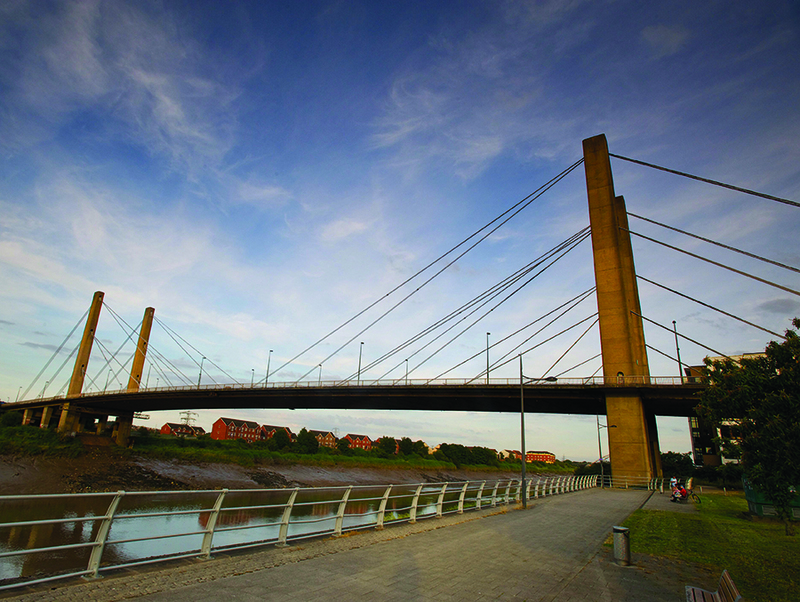 Britain’s first long span suspension bridge and its first cable stay bridge are 50 this year. Mott MacDonald was designer of both and some of its engineers, past and present, talked to Infrastructure Intelligence about the significance of the structures. In September there is a big party planned for the Forth road bridge in Scotland as it reaches its half century. As the country’s first long span suspension bridge it is a highly significant structure. With echoes of now, the decision to build it was taken by Harold Macmillan’s Conservative government as one of a tranche of infrastructure projects intended to boost the economy. The country was going into a period of growth following post second world war austerity and bridging Britain’s great rivers and estuaries was vital for the movement of goods, people and ideas. Forth was a priority – in the face of rapidly growing road transport, a ferry crossing that had been in existence from early medieval times was not going to do the job for the future. The main span is 1,006m long, flanked by side spans of 408.5m. The two steel girder pylon towers rise to a height of 156m above mean tide level. Approaches are carried on reinforced concrete arched pylons. Main suspension cables were spun from 11,618 galvanised high tensile steel wires each of 5mm diameter. The catenary has a sag-to-span ratio of 1 in 11. Ends of the cables were secured by massive concrete anchorages excavated into bedrock on either bank. Hangers supporting the deck were made from wrapped wires. The deck itself consists of a steel lattice truss carrying steel orthotropic dual two-lane carriageways, 7.3m wide. There had been plans for a suspension bridge since the 1930s with the project held up by the Second World War. In 1958 the go button was pressed and an impressive six years later the iconic road bridge was opened just a kilometer down river from the equally iconic rail bridge. A structure of that scale and design had been untried in the UK. To erect it in just six years would be a remarkable achievement even now. What makes the achievement even more remarkable is that it was done without computer analysis, and using hand calculations. “A suspension bridge was at that time the only choice for spans of that size and height. 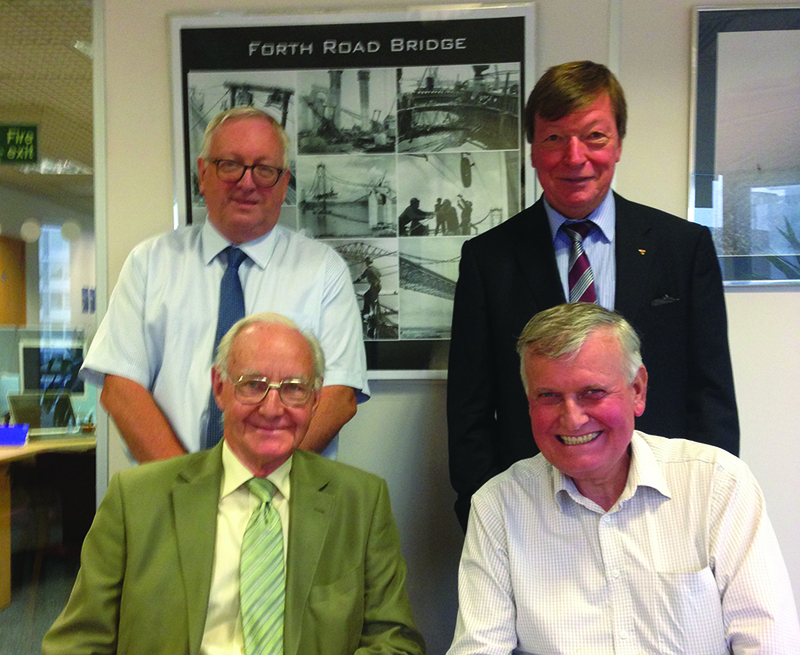 We had been watching suspension bridges develop in the US and were keen to get involved and be at the cutting edge,” says former Mott MacDonald divisional director Alan Simpson, who was one of the engineers on site. The design team was lean by present day standards, with just 15 engineers on site. Mott MacDonald teamed with consultant Freeman Fox & Partners, which provided additional design support based in London. However, progress was swift. Simpson says that this was thanks to the quality people involved, and the fact that the design had been developed with the contractors (a joint venture between Sir William Arol & Co, Cleveland Bridge and Dorman Long) for buildability, which resulted in a number of key innovations. “All the focus was on how it was going to be built and the contract included a pain share, gain share on savings,” Simpson says. Piers for the main towers were founded in rock some 35m below the bed of the Forth. Sheet pile caissons were formed around figure-of-eight shaped frames. Concrete pours at the base of the caissons achieved a seal that enabled dewatering. As excavation for the foundations advanced through silt, gravel and boulder clay, concrete ballast was added to the caissons, enabling them to slide downwards under self-weight until bedrock was reached. The great advantage of this technique was it avoided the need for use of underwater work using compressed air. Towers each consisted of two legs joined by diagonal and horizontal bracing. Each leg in turn was composed of three steel boxes connected together by cover plates. A ‘climbing rig’ was used to lift and mount box elements, enabling the towers to be raised in 12m increments. When Heathrow Terminal 5 was being built, the construction industry looked on with admiration when trial erection of the roof took place. But that was nothing new to Simpson and colleagues: All steelwork in the towers was pre-assembled before leaving the fabricator’s yard to check alignment and tolerance, and achieve a first time fit on site. ‘Piece-small’ construction was used for the entire superstructure. “Individual items lifted into place and bolted together above the Firth of Forth,” comments Simpson. The approach was driven by the lifting capacity of contemporary equipment, but also by the need to keep to programme in the unpredictable Scottish weather. Piece-small construction reduced wind-related risk. “Bolted connections were a key innovation,” comments former divisional director Jeff Young. “On Forth we moved away from the US technique of rivets to friction bolting – something introduced by Freeman Fox partner Sir Gilbert Roberts. They had never been used before but they were ever after.” Bolts were simply faster and easier to install. “On bridge design you are always on a learning curve,” says current bridges director Jeff Fisher. “We design, construct and maintain these bridges, then based on experience improve them. We have the ability with computers now to look at design options in great detail but you could not do that in the late 1950s with labourious hand calculations. A lot more depended on experience and if there was a deficiency, you built up your knowledge for the next time.” Today experience remains essential at the concept stage to aid the convergence towards the optimum design. In terms of the Forth Road Bridge, protection was in place against corrosion but the structure had other ideas. “The cables were heavily compacted, then covered with red-lead paste and a 4mm wire wrap which we painted. But the cables, composed of thousands of individual wires, breathed, expanding and contracting allowing the moist marine air to get in to the cable and initiate corrosion .” Dehumidification systems installed recently when the problem was discovered after the bridge had been in operation for four decades are containing the issue now, another example of engineering responding to need and emphasizing the value of pro-active mainbtenance management. 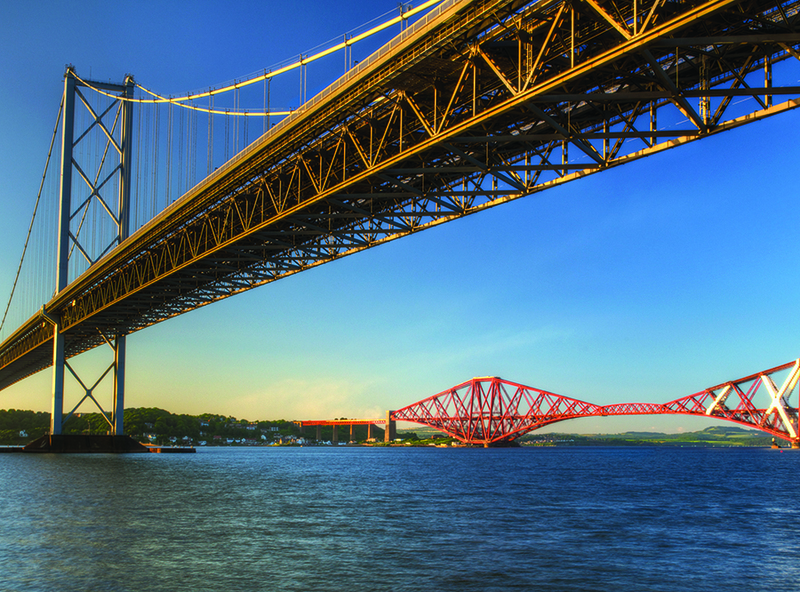 Forth Road Bridge put Mott MacDonald in the vanguard of bridge design where it still is today. After Forth the company (again with Freeman Fox) moved on to the Severn suspension bridge and as the decades went by its skill with the design led to it being appointed the designer of worldclass masterpieces like Tsing Ma Bridge in Hong Kong and providing advisory services to lenders financing major infrastructure projects such as the 3rd Bosphorus Bridge in Turkey.